This is a five-frame high dynamic range image blended using Photomatix Pro, but you can see a distinct fisheye curvature of the horizon. 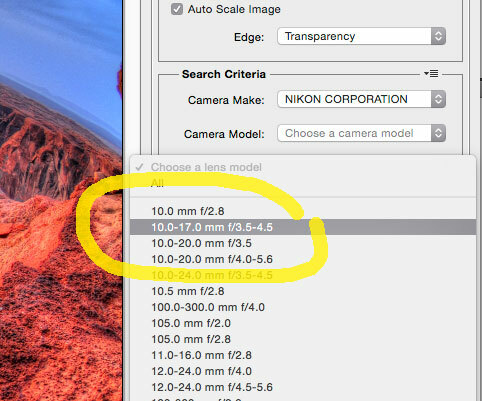 I applied a Photoshop filter called “Lens Correction” to this image, then selected my lens from the list. The filter instantly straightened out the curves and gave me the sweeping image I originally envisioned. I set myself up for a significant editing challenge on a recent road trip to the desert. 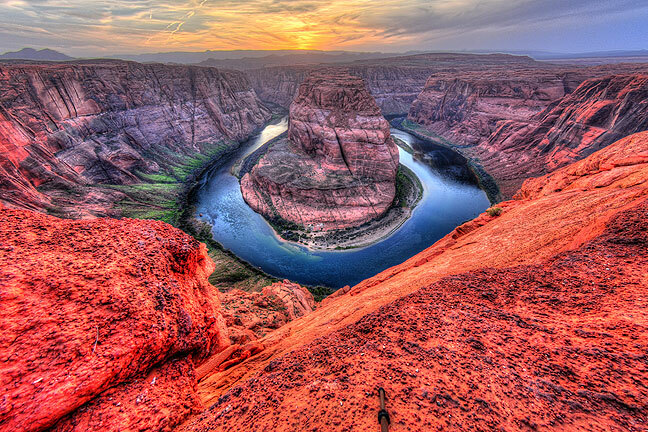 I photographed Horseshoe Bend of the Colorado near Page, Arizona. On a previous occasion, I shot it with my 12-24mm Tokina lens, which gave me fairly good results, but despite being zoomed out as wide as possible, I still wasn’t getting the epic, broad, expansive panoramas I was seeing on the web by other photographers. My solution depended heavily on software: shoot the scene with my 10-17mm Tokina fisheye, and “unbend” the curved lines characteristic of the fisheye lens using Adobe Photoshop to create a sweeping panorama. I’d never done this exact edit before and hadn’t checked it out, but felt I could achieve it one way or the other. As it turned out, Adobe Photoshop made it quick and easy, and the result was exactly what I wanted. 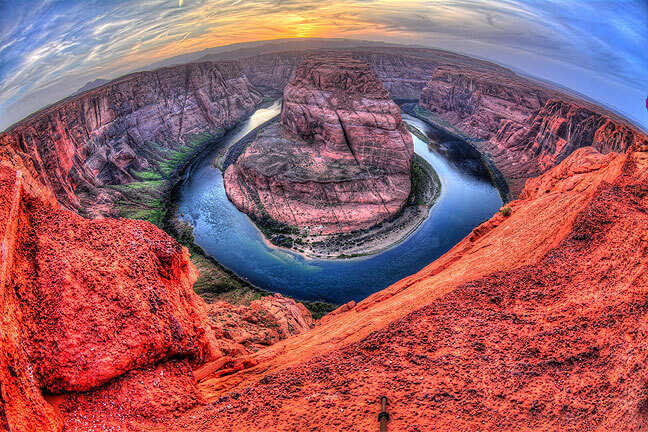 This is the same image at Horseshoe Bend, straightened using Adobe Photoshop, and is the result I wanted.